Pope Adrian VI (Latin: Hadrianus VI), born Adriaan Florensz (Boeyens) (2 March 1459 ‒ 14 September 1523), was Pope of the Catholic Church from 9 January 1522 until his death on 14 September 1523. He was the only Dutchman ever to be Pope. 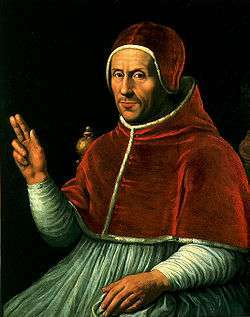 Pope Adrian VI was born in the Prince-Bishopric of Utrecht in the Netherlands and was the last non-Italian pope until Pope John Paul II from Poland became pope in 1978. Pope Adrian VI and his eventual successor Pope Marcellus II are the only popes of the modern era to retain their baptismal names after their election. In November 1506 Margaret of Austria, Duchess of Savoy became Governess of the Habsburg Netherlands and chose Adrian as her advisor. The next year Emperor Maximilian I appointed him also tutor to his seven-year-old grandson, and Margaret's nephew, Charles, who in 1519 would become Emperor Charles V. By 1512 Adrian was Charles's advisor and his court obligations were so time consuming that he quit his positions at the university. Pope Adrian VI, 1598 engraving by Théodore Galle. Adrian VI was not successful as a peacemaker among Christian princes, whom he hoped to unite in a war against the Turks. In August 1523 he was forced into an alliance with the Empire, England, and Venice against France; meanwhile, in 1522 the Sultan Suleiman I (1520–66) had conquered Rhodes. In his reaction to the early stages of the Lutheran revolt, Adrian VI did not completely understand the gravity of the situation. At the Diet of Nuremberg, which opened in December 1522, he was represented by Francesco Chiericati, whose private instructions contain the frank admission that the disorder of the Church was perhaps the fault of the Roman Curia itself, and that it should be reformed. However, the former professor and Inquisitor General was strongly opposed to any change in doctrine and demanded that Luther be punished for teaching heresy. He made only one cardinal in the course of his pontificate, Willem van Enckevoirt, made a cardinal priest in a consistory held on September 10, 1523. Gulik, Guilelmus van; Konrad Eubel (1923). L. Schmitz-Kallenberg, ed. 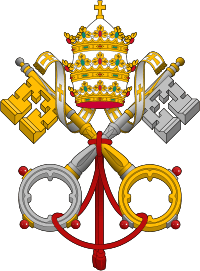 Hierarchia catholica medii aevi (in Latin). Volume III (editio altera ed.). Münster: sumptibus et typis librariae Regensbergianae. Rodocanachi, E. (1931). "La jeunesse d' Adrien VI". Revue historique. 56: 300–307. JSTOR 40944759. (registration required (help)). McNally, Robert E. (1969). 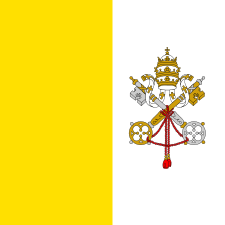 "Pope Adrian VI (1522-23) and Church Reform". Archivum Historiae Pontificiae. 7: 253–285. JSTOR 23563708. (registration required (help)). Stone, M.W.F (2006). "Adrian of Utrecht and the University of Louvain: Theology and the Discussion of Moral Problems in the late Fifteenth Century". Traditio. 61: 247–287. JSTOR 27832061. (registration required (help)). ↑ Dedel, according to Collier's Encyclopedia. 1 2 3 Herbermann, Charles, ed. (1913). 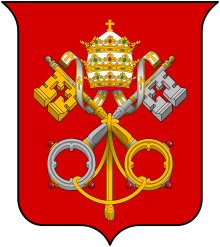 "Pope Adrian VI". Catholic Encyclopedia. New York: Robert Appleton Company. 1 2 3 4 Jos Martens, Bio and review of Verweij book at Histoforum Magazine. ↑ Coster. "De Latijnse School te Zwolle". Metamorfoses. pp. 17, 19. Rodocanachi, p. 301-302. ↑ The date was 1 June 1476 according to the Matriculation Register: Rodocanachi, p. 302 and n. 1. ↑ David Cheney, Catholic-Hierarchy: Adrian Florenszoom Dedel. Retrieved: 2016-05-14. ↑ Paolo Giovio, Vita Hadriani VI, p. 119. ↑ Gulik and Eubel, p. 186. ↑ Gulik and Eubel, pp. 16 and 63. 1 2 3 One or more of the preceding sentences incorporates text from a publication now in the public domain: Chisholm, Hugh, ed. (1911). "Adrian". Encyclopædia Britannica. 1 (11th ed.). Cambridge University Press. p. 216. ↑ Adrian VI (1522). Copia Brevis S. D. N. Adriani VI. in summum Pontificem electi, ad sacrosanctum Cardinalium Collegium (in Latin). Caesaraugusta (Saragossa). ↑ Dyess-Nugent, Phil, Law & Order: Slave to formula, or crackling entertainment?, The A. V. Club.